Queenie Jenkins is a 25-year-old Jamaican British woman living in London, straddling two cultures and slotting neatly into neither. 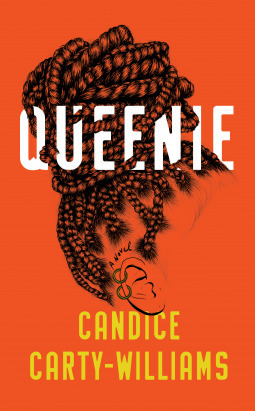 She works at a national news Bridget Jones’s Diary meets Americanah in this disarmingly honest, boldly political, and truly inclusive novel that will speak to anyone who has gone looking for love and found something very different in its place. Jazmen Shawna wrote: "Thank you. I am a third of the way through this and your review is echoing so many of my fillings, I don't know if I can bring myself t Shawna wrote: "Thank you. I am a third of the way through this and your review is echoing so many of my fillings, I don't know if I can bring myself to finish. The self-deprecation and willingness to accept abuse..."
Laura Adding it to my list... Thank you for a great review! PorshaJo Laura wrote: "Adding it to my list... Thank you for a great review!" Thanks Laura! I hope you love it as much as I did when you get a chance to read it Laura wrote: "Adding it to my list... Thank you for a great review!" A book about sexual abuse, invalidating the female experience, and insistent on presenting racial stereotypes is not a positive narrative. I honestly don't do a lot of 1 star reviews. Normally, if the book is that bad or I can't finish it, I just consider it a DNF, don't rate it, and move on - there are too many good books out there to waste my time on a bad one. 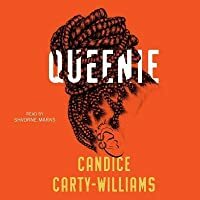 But I felt a duty to finish Queenie, as it was lauded as such a sensational book for diverse female representation, and I felt like I shouldn't be reviewing a book like this one negatively as I am white, not black, and do not have a similar background to the main character. So I pushed on, hoping to salvage something and bring up my internal rating. I had to DNF at 70%. 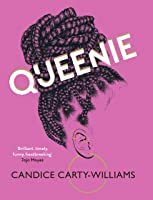 Queenie could have been a much-needed book, but instead it became a fetishized, overly sexual and downright sexually abusive book that invalidated the female experience and was just downright uncomfortable to read. It had no positive takeaways. Jazmen Amy wrote: "(I hope you didn’t mind!)"